A LIQUEUR is an alcoholic beverage made from a distilled spirit that has been flavored with fruit, cream, herbs, spices, flowers or nuts and bottled with added sugar or other sweetener (such as high-fructose corn syrup). Liqueurs are typically quite sweet; they are usually not aged for long after the ingredients are mixed, but may have resting periods during their production to allow flavors to marry. In the United States and Canada, where spirits are often called "liquor", there is often confusion over liqueurs and liquors, especially as many spirits today are available in flavored form (e.g. flavored vodka). The most reliable rule of thumb is that liqueurs are quite sweet and often syrupy in consistency, while liquors are not. Most liqueurs have a lower alcohol content (15–30% ABV) than spirits, but some contain as much as 55% ABV. In parts of the United States, liqueurs may also be called cordials or schnapps, while in large parts of the British Commonwealth, cordial means a concentrated non-alcoholic fruit syrup that is diluted to taste and consumed as a non-carbonated soft drink, and in Germany and Scandinavia, schnapps means a form of brandy or aquavit. 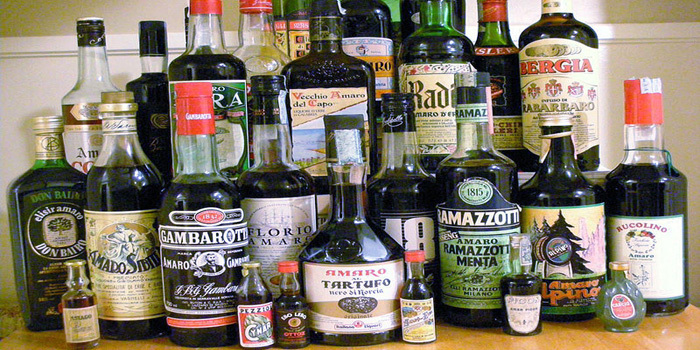 COMPREHENSIVE COVERAGE OF MOST LIQUEURS - The Cook's Thesaurus: Liqueurs. LIST OF ITALIAN LIQUEURS - Wikipedia. LIST OF LIQUEURS - Wikipedia. AnÍs del Mono Dulce - "Anís del Mono is a classic anise to enjoy, THE drink to enjoy parties. All the flavour and the more traditional aromas." Baileys Irish Cream - since 1974. An Irish whiskey & cream based liqueur. CHARTREUSE LIQUEURS - official website. COINTREAU - since 1875. Brand of triple sec (an orange-flavoured liqueur) produced in Saint-Barthélemy-d'Anjou, France. It is drunk as an apéritif and digestif, and is a component of several well-known cocktails. CRÈME DE CASSIS DE DIJON - blackcurrant liqueur (a favourite drink of the fictional detective Hercule Poirot by Agatha Christie). Goldwasser - strong (35% ABV) root and herbal liqueur which has been produced since at least 1598 in Danzig (Gdańsk). Green Chartreuse - (110 proof or 55%) is a naturally green liqueur made from 130 herbs and plants macerated in alcohol and steeped for about 8 hours. A last maceration of plants gives its colour to the liqueur. 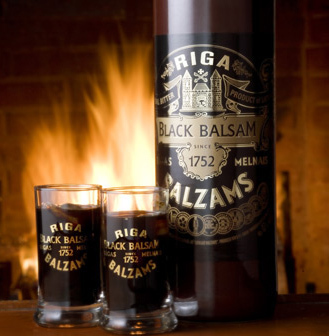 RIGA BLACK BALSAM - since 1752. Traditional Latvian herbal liqueur made with many different natural ingredients mixed in pure vodka, giving a 45% abv (90 proof) drink. Black Balsam is also used in traditional medicine. It is considered to be a good cold remedy and is used to treat digestive problems. It has been made in Riga since the middle of the 18th century. According to legend, Empress Catherine the Great of Russia, became ill during a visit to Latvia, but was cured after drinking Riga Black Balsam. Sambuca - Italian anise-flavoured, usually colourless, liqueur. Southern Comfort - since 1874. American liqueur made from neutral spirits with fruit, spice and whiskey flavoring. Verveine du Velay - since 1859. "A perfect expression of the french school herbal liqueur."